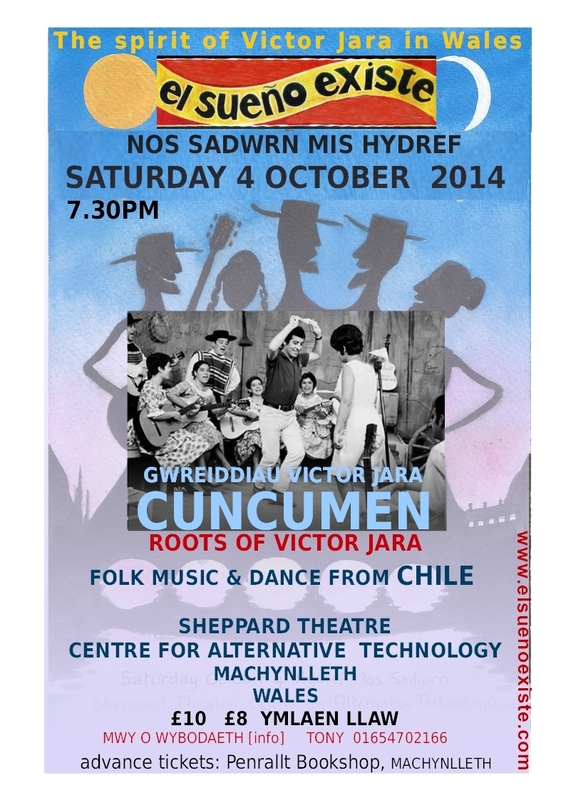 One of the most enduring and important folk music and dance groups from the Chilean New Song Movement performed around Machynlleth on the 4 and 5 October 2014. 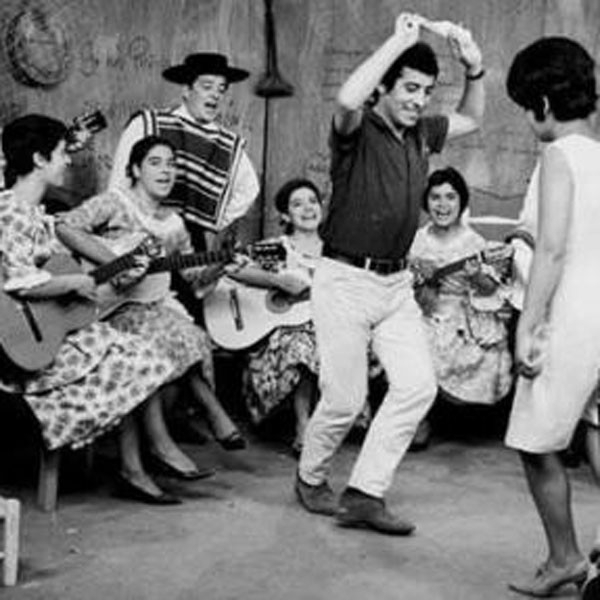 Cuncumen are the original band of Chile’s visionary folk singer, Victor Jara, and following a musical career spanning 50 years, this was their first ever performance in Wales. The Mapuche are the indigenous people of Chile, who campaign for their language and culture in a similar way as happens in Wales. And is played on guitars, charango , rebel and harp. with Cuncumen for 2 songs . Mariela Ferreira has been a member of the band from the earliest days and was exiled in Sweden for many years following the infamous Chilean military coup of September 11th 1973. 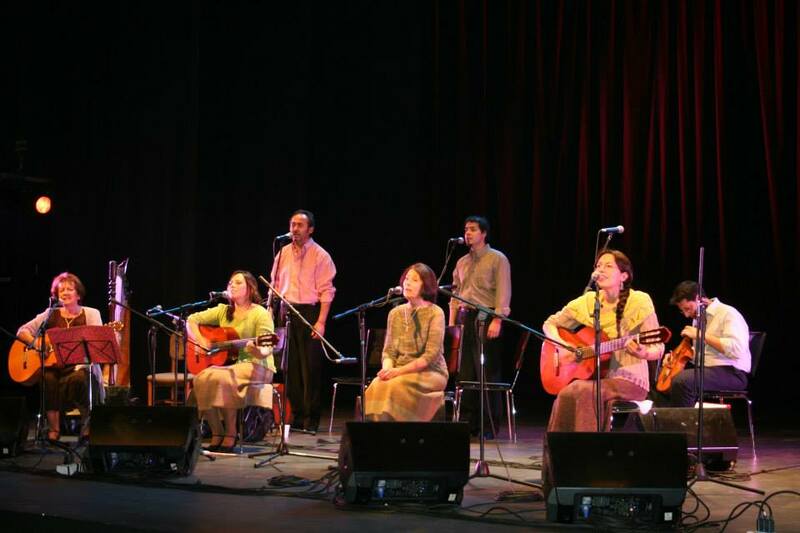 Cuncumen intersperse Chilean folk songs with traditional dances and include the songs of Victor Jara, Rolando Alarcon and Violeta Parra in their repertoire. Their main performance was at the Sheppard Theatre at the Centre For Alternative Technology on Sat October 4th at 7.30pm. More information from Tony ; 01654702166. Iron Room in Eglwys Fach on Sunday 5th October. Valley in honour of Victor Jara and all that he represents for the past 12 years. 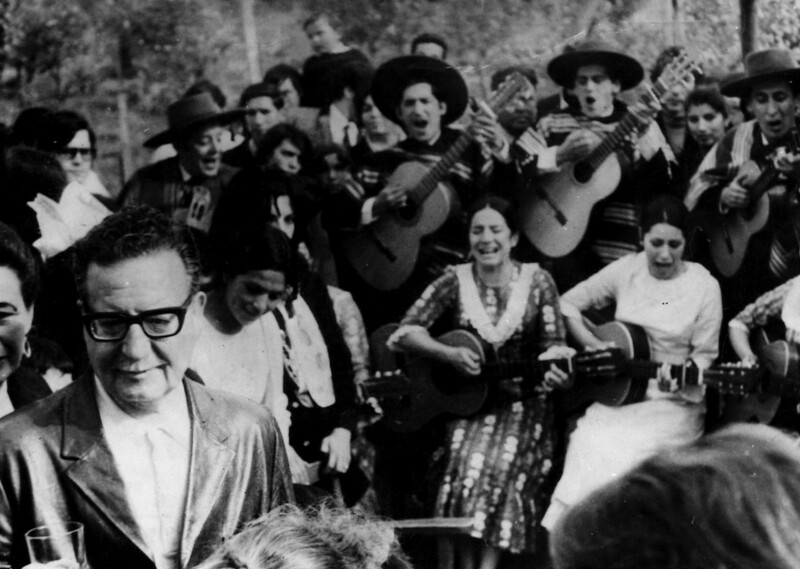 We are over the moon to have the legendary band Cuncumen here to play for us and see this as the planting of a musical seed that will help keep the music and representation of Victor Jara and Chilean New Song alive and well here in the Dyfi Valley.